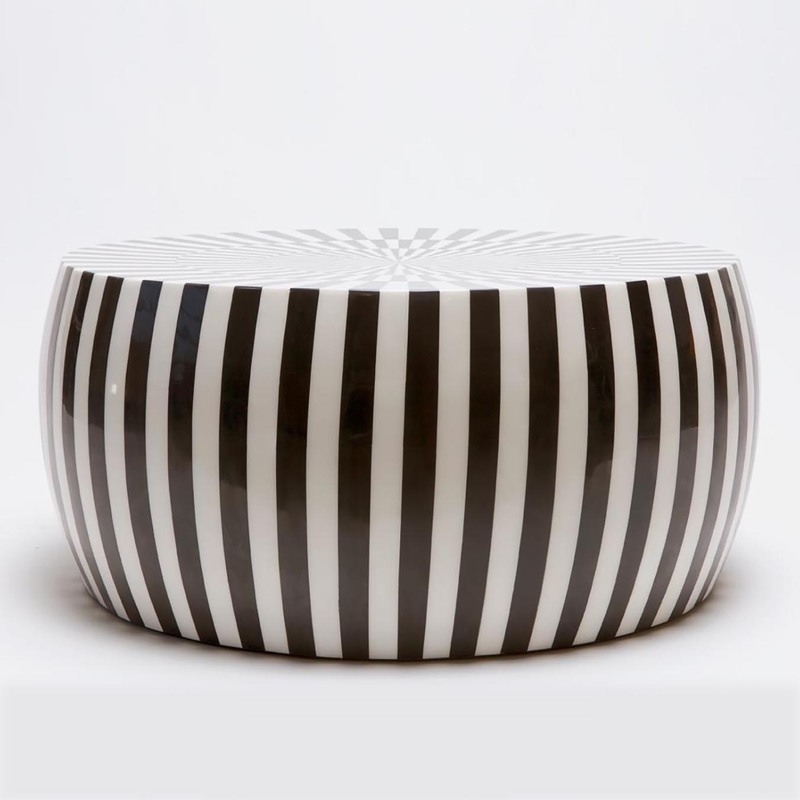 Alternating stripes make this functional coffee table a bold statement and conversation piece for your space. 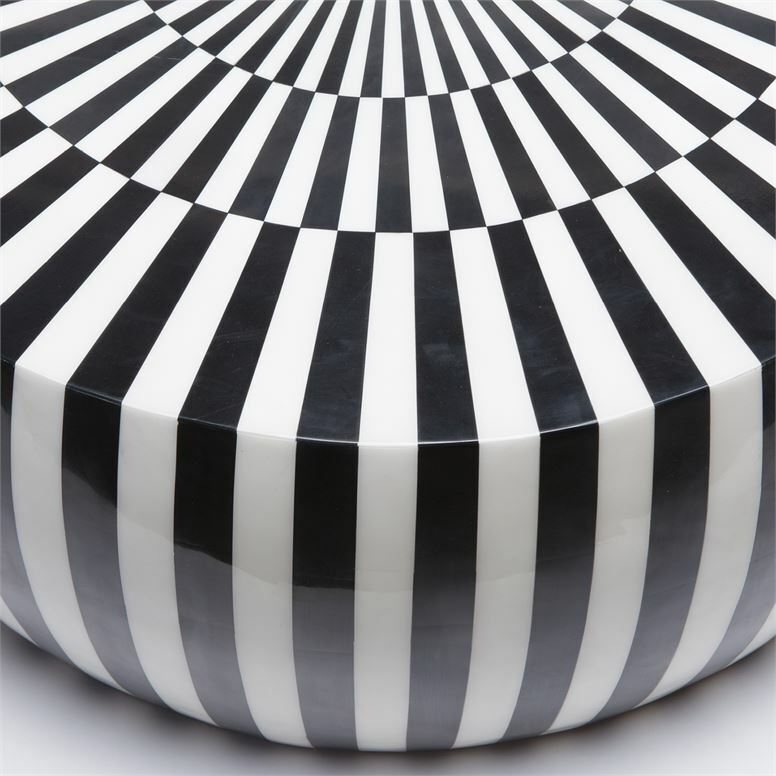 Black and white resin in an captivating pattern create sleek and whimsical elegance. 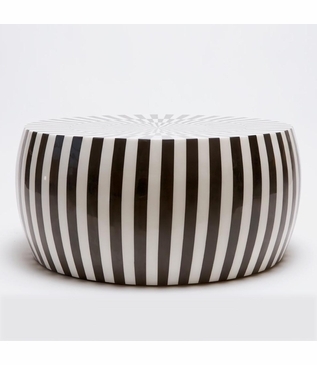 Size: H: 17" • Dia: 36"